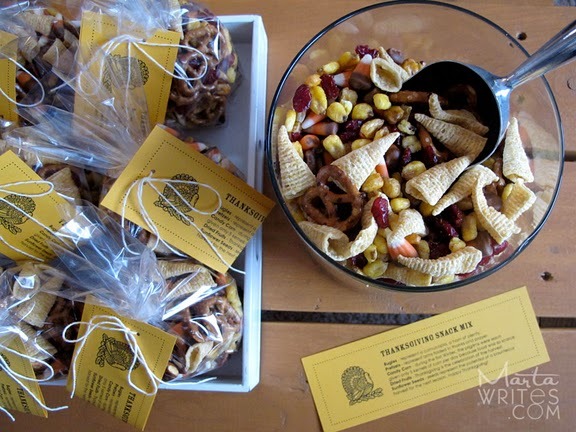 I have been sharing fun cornucopia snack ideas for a while now and I am not sure how I missed this cornucopia snack mix from Marta Writes. 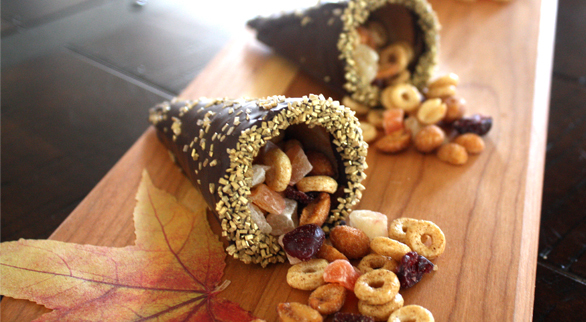 I first found these delicious chocolate covered cone cornucopia snacks filled with snack mix from Gourmet Mom on the Go. And then I did a search for cornucopia snack mix. One of the images it pulled up were these cornucopia kids snacks made with bugles and Trix cereal. And that is when it hit me. BUGLES! 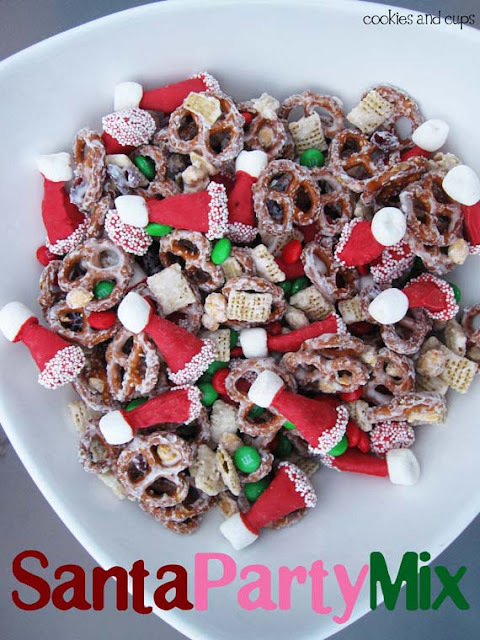 I did a search over at Cookies and Cups because she has some of the funnest Bugle snack mixes around, like this fun Santa hat mix that will come in handy next month, but no cornucopias. 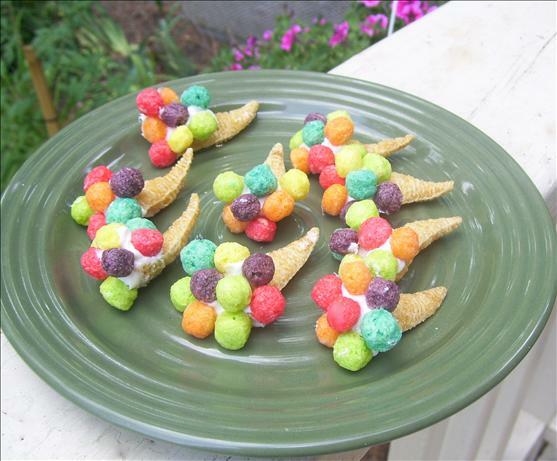 But a quick search for Bugle cornucopia snack mix and voila! Marta's Thanksgiving snack mix recipe. I am still keeping my fingers crossed that Shelly will share a recipe too!